You can change your information using online banking. 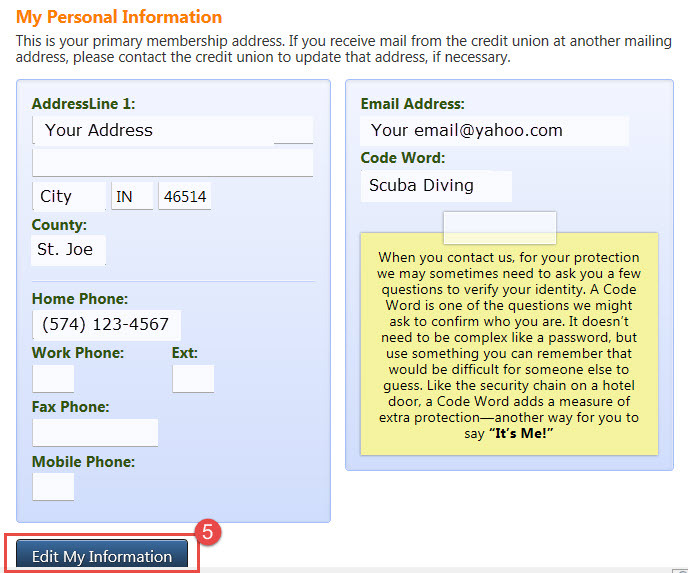 Step 6: Edit the data and select Update My Information to save the changes. 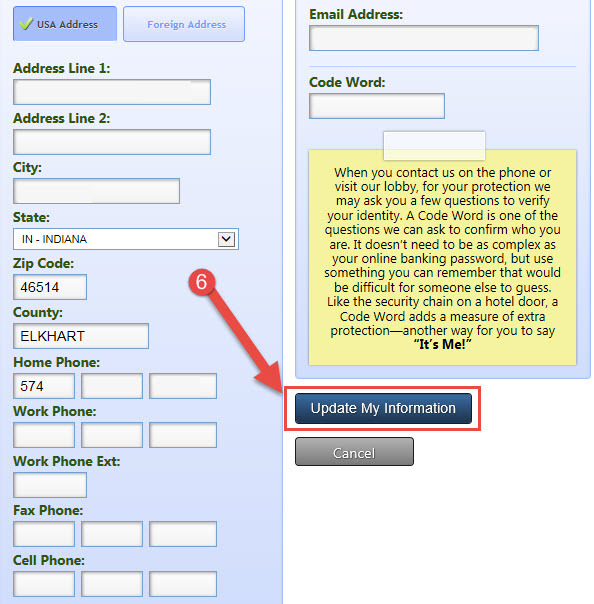 Once you complete this step, your information is updated in our systems.